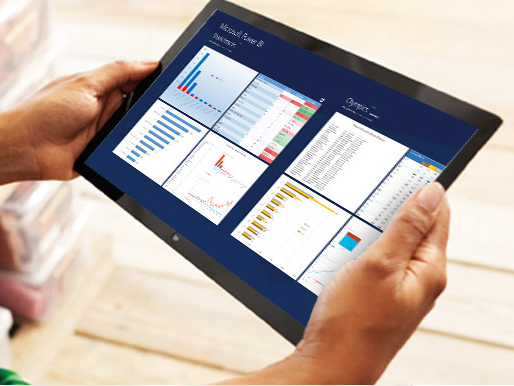 Power BI for Office 365 is a cloud-based business intelligence (BI) solution that enables our customers to easily gain insights from their data, working within Excel to analyze and visualize the data in a self-service way. Power Query, enabling customers to easily search and access public data and their organization’s data, all within Excel (formerly known as “Data Explorer“). Power Map, a 3D data visualization tool for mapping, exploring and interacting with geographic and temporal data (formerly known as product codename “Geoflow“). Power Pivot for creating and customizing flexible data models within Excel. Power View for creating interactive charts, graphs and other visual representations of data. Power BI sites, dedicated collaborative BI workspaces in Office 365 for sharing data and insights with colleagues. 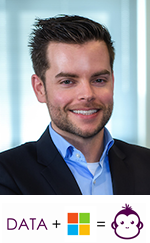 The Power BI sites also keep customers’ data up to date with connectivity and data refresh back to their on premise data sources. New natural language query capabilities that allow customers to ask questions and get answers. They simply type their question into a dialog box and the system interprets and automatically generates interactive charts and graphs based on available data. Connected BI experience, dedicated native apps for Windows 8, Windows RT and iPad to stay connected with your reports and data wherever you are as well as HTML5 support for browser based viewing on any device. Want to signup for the preview this summer? Decorating the office? You might want to download this Microsoft BI poster and send it to your local copy shop. Provides an overview of Microsoft’s Business Intelligence technologies in Office, SQL Server, and BI services in Windows Azure. 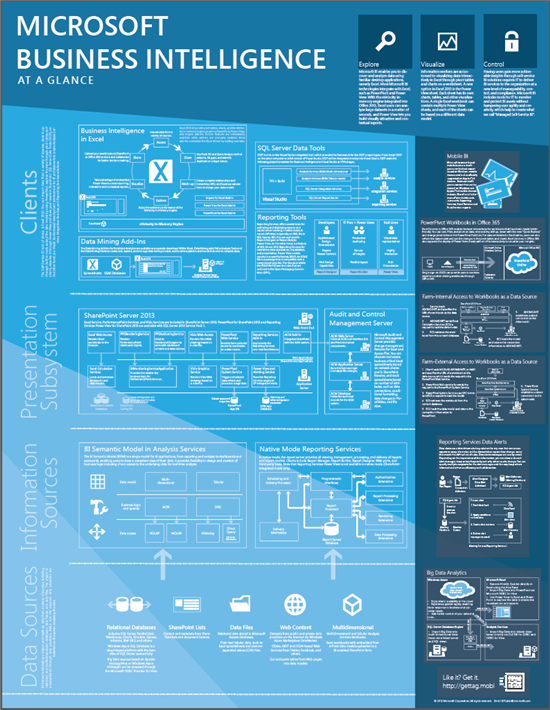 The poster summarizes the benefits of Microsoft’s BI technologies and depicts them by layer: client (such as BI in Excel), the presentation subsystem (such as SharePoint 2013), information sources (such as Reporting Services), and data sources (such as relational databases). It focuses on the enterprise architect and IT implementer audience. It includes Office 2013 client and server, SQL Server 2012 with SP1, and BI services in Windows Azure. Going independent as a freelancer/contractor! Last month I made the decision to start working as a freelancer/contractor starting from the 1th of April 2011! Launched my own company called BumbleBI IT (Dutch).